The highlight of this month's featured Outdoor Kitchen is the incredible Memphis Wood Fired Smart Grill. With a whopping 1274 sq. inches of cooking surface, a large 24 lb. 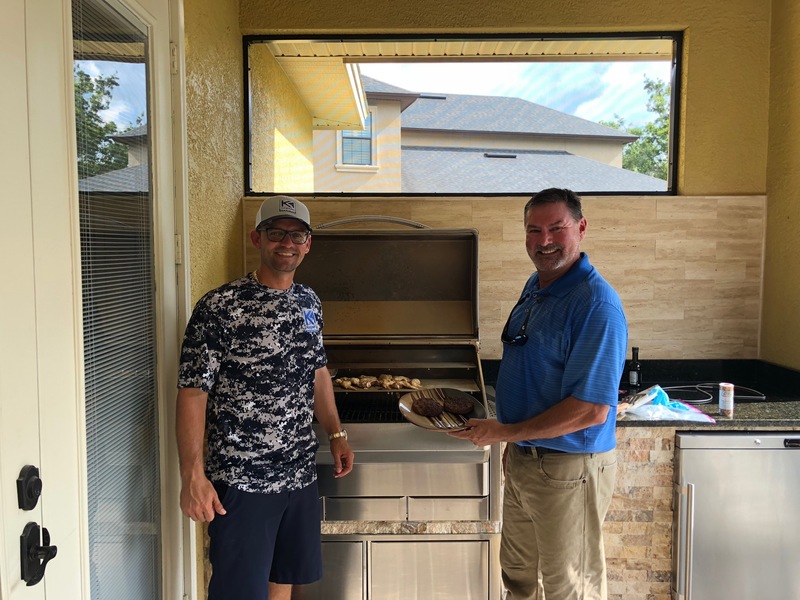 pellet hopper, dual metal convection fans, and precise temperature control capable of anything from 180° to 700°, the Memphis Elite is perfect for your outdoor kitchen.